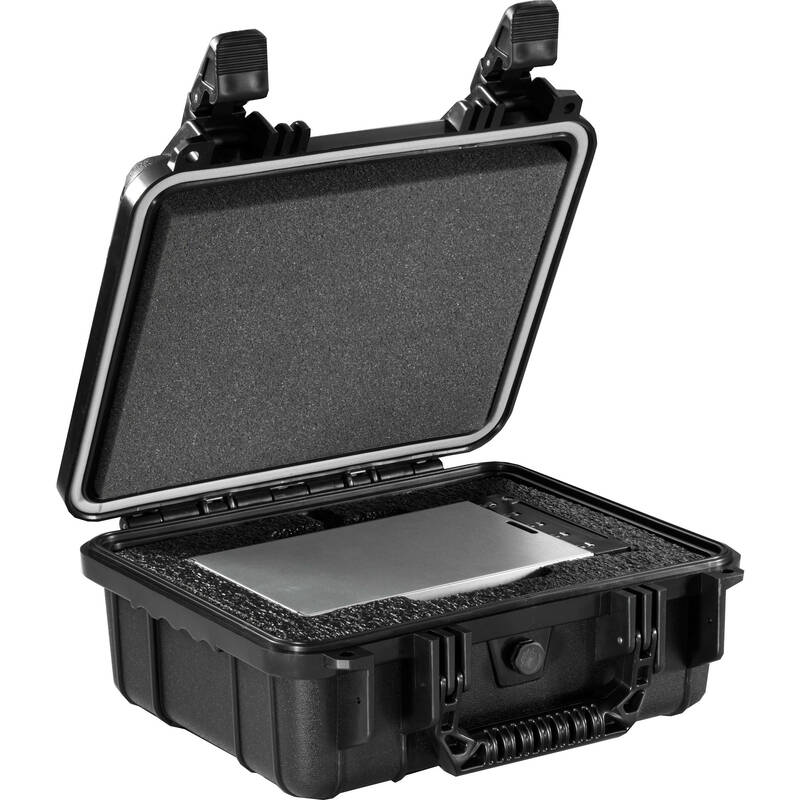 The Digital Cinema Kit 1 with 500GB Drive from CRU-DataPort includes a DX115 DC carrier, shipping case, and 500GB (7200 rpm) hard drive. The drive is pre-formatted with EXT3 per ISDCF specifications. This hard plastic shipping case has custom designed foam and has undergone extensive drop testing to ensure enhanced durability. It is an all-in-one solution for Digital Cinema customers. Digital Cinema Kit 1 with 500GB Drive is rated 5.0 out of 5 by 1. Rated 5 out of 5 by Frederick T. from Great Drive! Case is very high quality and impressive. Clients always love it. Drive is well placed in strong high quality foam and love that it's preformatted to EXT 3. With this product, can I just transfer the DCP file to the drive from a PC as it comes?Or do I need my own 2.0 o 3.0 cable or do I need an adaptor to use those cables? You would need a separate cable to plug into the SATA. This package does not come with cables. You could open up the case with a Philips screwdriver, take out the drive, place it in a dock and transfer files that way. As for transferring files form a PC to an ext3 formatted drive; you would need additional; software available online. is this drive compatible with CRU DX115 DC Frames , RTXDC &amp; RAXDC 1, 2, 4 and 8 bay enclosures (using adapter).Or does it come with an adaptor?